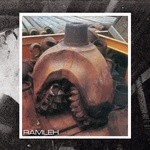 "It's been nearly 20 years since the last full-length album from Ramleh operating in 'rock' mode, but the sprawling new double album Circular Time sees these British noise rock legends deliver their most intense work since re-emerging from extended hiatus. 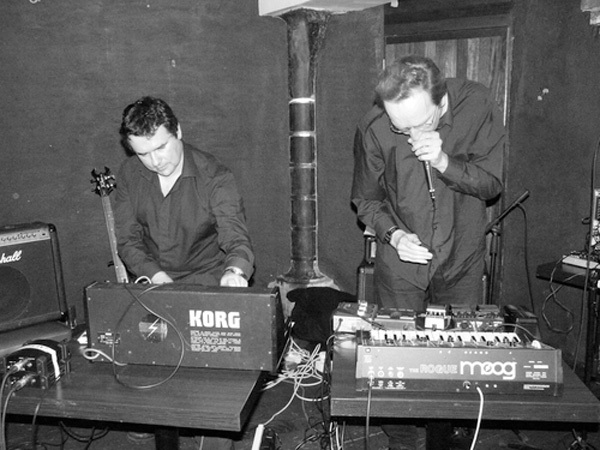 One of the key bands to emerge from the British post-industrial underground of the early 1980s alongside their Broken Flag labelmates Skullflower, Ramleh continually shifted between the extreme, confrontational power electronics of their early material and their later forays into searing, lysergic noise rock, right up until they went inactive in the late 1990s. The group re-emerged later the following decade with a number of reissues and new releases, but up until now, nearly all of the new material indulged their harsh noise tendencies. With this massive new album, these distortion masters (now comprising founding member Gary Mundy, longtime member Anthony Di Franco and new drummer Martyn Watts) return with nearly two hours of speaker-shredding, void-gazing psychedelia, pushing the pummeling, Hawkwindian meltdowns heard on classic '90s-era albums like Be Careful What You Wish For and Shooters Hill into realms of total obliteration. Forged from a simple but savage combination of pummeling drumming, monstrously overloaded synthesizers and elliptical, sludge-encrusted bass riffs that anchor the squalls of brutal, electrified guitar noise, Ramleh's sound is hypnotically crushing. Heavy, zoned-out drone-rock grooves are unleashed amid gales of sky-scorching guitar noise, with epic psych-shred workouts stretched out across storms of nebular effects. Distant vocals howl beneath sheets of shimmering guitar, and streaks of twisted, mutant dub materialize within some of the album's catchier moments. It's dark, often brutal music, but also shot through with moments of sweeping, apocalyptic beauty, building to the powerful back-to-back finale of 'Weird Tyranny' and 'Never Returner' that are as utterly blasted and majestic as anything heard from Ramleh in the band's thirty-some-year existence."